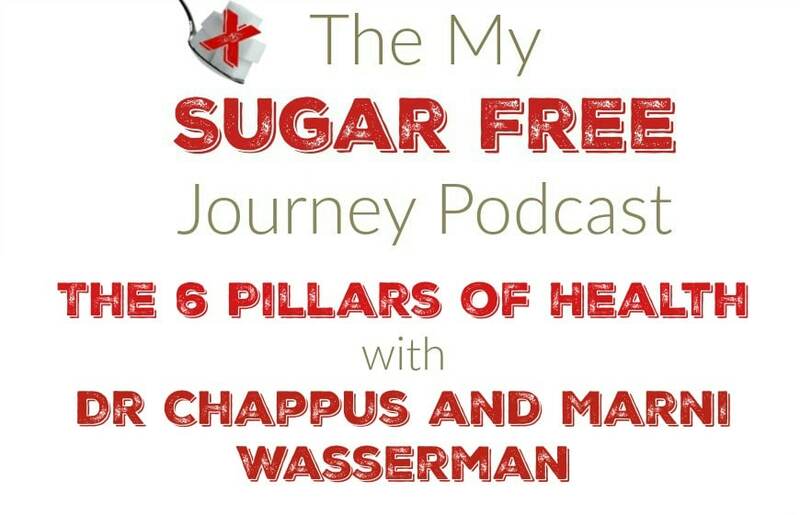 In this week’s My Sugar Free Journey Podcast, we are talking with Dr Jesse Chappus and Marni Wasserman of the The Ultimate Health Podcast. They are sharing their 6 Pillars of Health with us today. Nutrition – We discussed Marni’s transition from a vegetarian diet towards a Paleo diet with more healthy fats. Hydration – We talked about FindASpring.com and how to harvest your own spring water and the importance of a using a shower filter. Sleep – We discussed tactics for improving our sleep like using a sleep mask, ear plugs and blackout curtains. Movement – We discussed using Kettlebells and apps like the 7 Minute Workout to get the best workout in the shortest amount of time. Self care – We discussed using the Headspace app to meditate and other tips for taking care of yourself. Community – We discussed tips for improving our relationships. PREVIOUS POST Previous post: Keto Questions: What is the “Whoosh Effect”? NEXT POST Next post: Ketogenic Pizza Pocket Recipe!